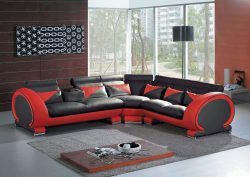 Add new heights of relaxation and leisure with Torro sectional leather sofa. 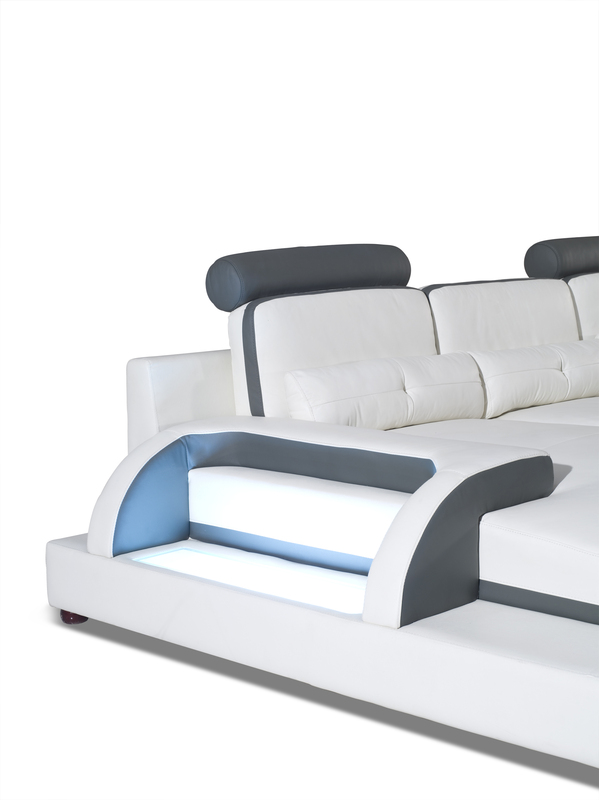 Featuring White with Black Trim leather design, this set gives any décor an eye-catching futuristic edge, while the LED light provides an extra splash of style, it comes with two head rests and integrated shelving spaces inside the arm rest,This sectional sofa is perfect for entertaining guests and throwing lavish parties. 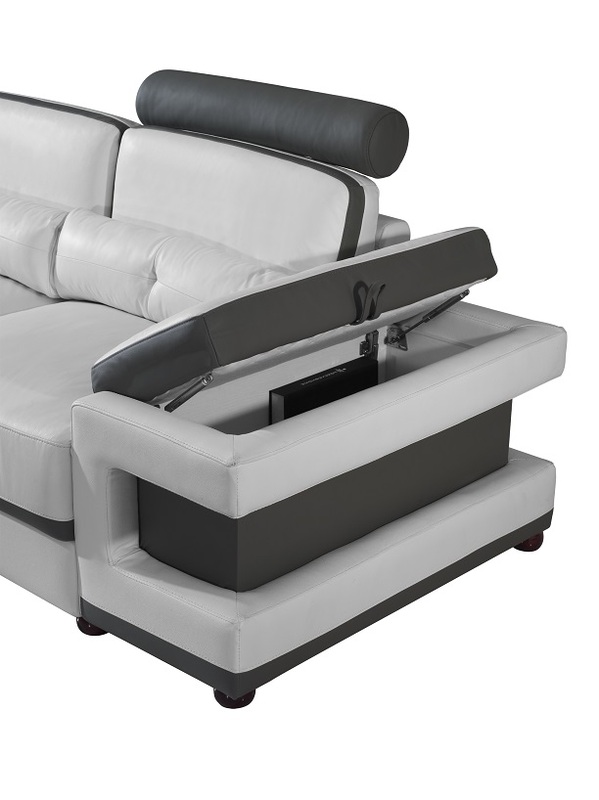 This Sectional and Ottoman comes in 5 boxes and all legs already assembled.